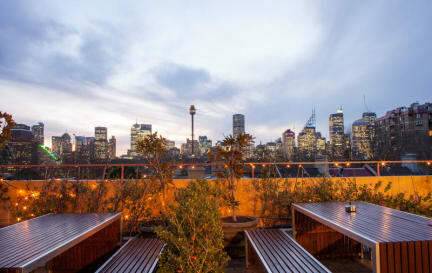 Like most hostels, we are close to all the good things you expect in beautiful, modern Sydney. The difference is that at the end of your sight-seeing day, you know you can come home to a friendly face, a clean place and other guests who appreciate these things. Staff offer a friendly, informed and personalised service. A range of double and dormitories are available. Some dormitories are en-suite and some privates and dorms have air conditioning. We have a large clean kitchen / common room with fireplace, large refrigerators and food storage facilities. 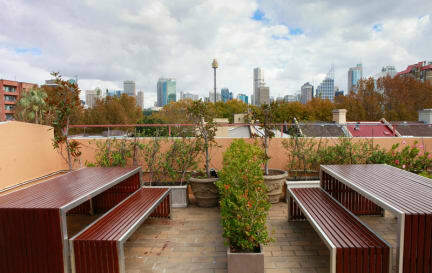 We also have a Rooftop garden with a barbecue, laundry and amazing city views.